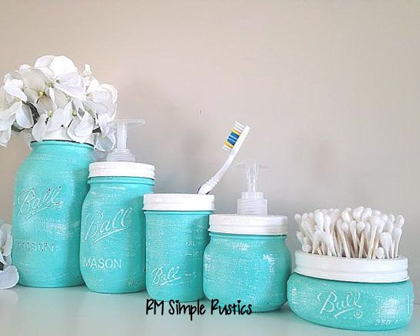 These Mason Jar Bathroom Accessories are a great way to help eliminate clutter. Hand painted, distressed, and sealed to help protect against water. Set of 5. $47. Buy here. 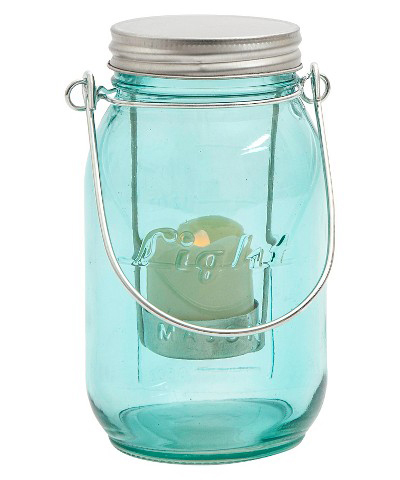 Beautifully light your home or patio with this Threshold Muddy Aqua Colored Glass Mason Jar LED Votive Candle Holder. This traditional style mason jar holds one bisque LED votive candle with battery included. 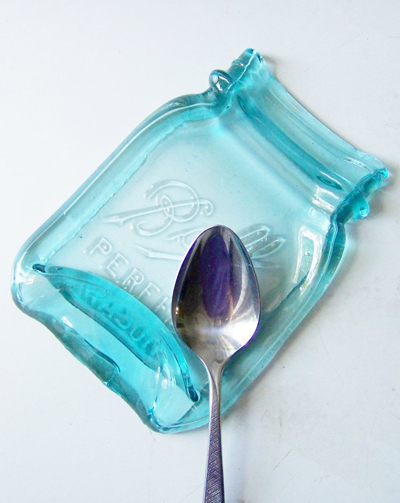 The zinc-colored lid can be detached from the mason jar, providing a unique versatility and charm to this candle holder. $8.99. Buy here. Pretty ceramic glaze lends summertime charm to this Aqua Mason Jar featuring a classic mason jar silhouette that’s perfect for displaying a bouquet of fresh farmer’s market flowers. By Fishs Eddy. $10.95. Free shipping. Buy here. Attract a colorful variety of local birds to your backyard by offering them fresh water with the Perky-Pet Mason Jar Wild Bird Waterer. 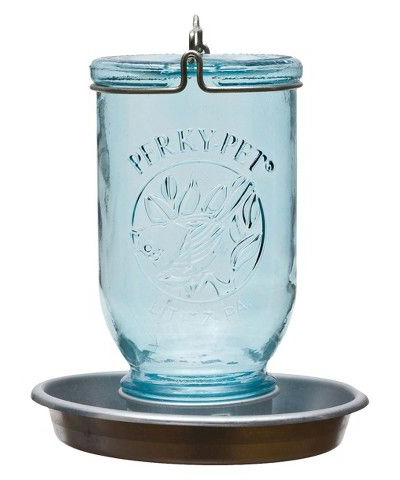 Styled after vintage canning jars, the feeder is made of beautiful blue glass with the image of a bird embossed on the side. The jar has a 32-oz. capacity and conveniently unscrews from the metal base for easy filling and cleaning. The base is shiny steel and has a lip around the edge that acts as a 360Â° circular perch. $16.99. Buy here. Stray buttons, lemonade, candles, preservesâ€”a lot of things feel just a bit more special placed in a Mason jar. 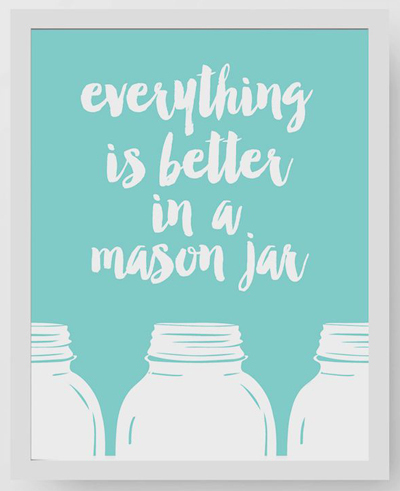 This hand illustrated Everything Is Better In A Mason Jar Art Print says it plainly in a hand lettering style typeface. $24. Buy here. 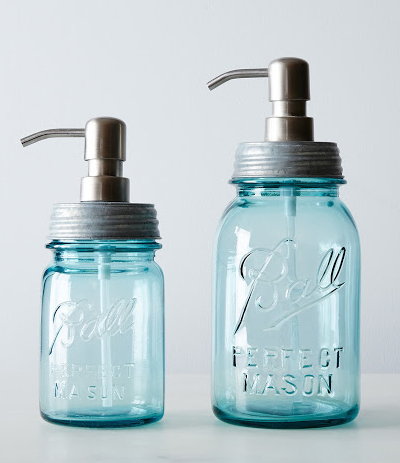 Of any soap dispenser we’ve seen, thisÂ Vintage Blue Mason Jar Soap Dispenser takes the cake. 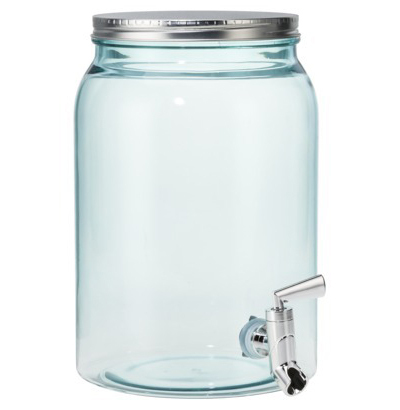 A stainless steel pump turns the glass jar into a easy-to-use, no-mess soap dispenser. Use it for hand soap, dish soap, lotion…or whatever you need within easy reach. 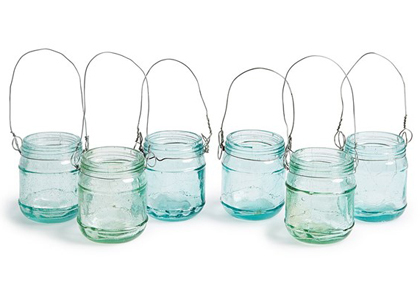 Each piece is a one-of-a-kind and made from vintage reclaimed jars — they’re well-loved with marks of character from years of use. $32-$38. Buy here. ThisÂ Insulated Mason Tumbler is designed to look like the iconic canning jar. Features double wall insulation for a no-sweat, iced drink experience. Dishwasher safe and includes a smoothie-sized straw for all your favorite drinks (like sweet tea & smoothiesâ€¦or, daiquiris). $12.79 Sale $10.99. Buy here. 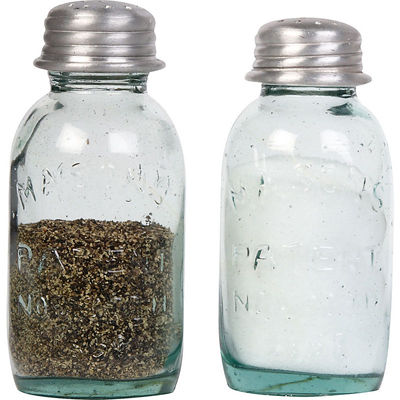 Blown in Burma/Myanmar from recycled glass, these charming votive-sizedÂ Mason Jar Votive Lanterns are perfect for adding a bit of rustic charm to your indoor or outdoor dÃ©cor. $18. Free shipping. Buy here. 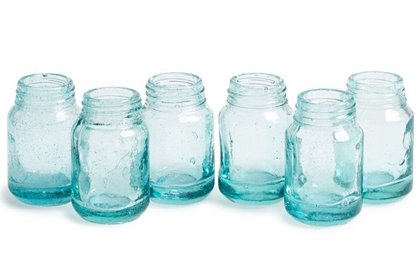 Blown in Burma/Myanmar from recycled glass, this charming votive-sizedÂ Mason Jar Mini Vase Set of 6 is perfect for adding a bit of rustic charm to your indoor or outdoor dÃ©cor. Pop a votive candle inside, or add small bunches of flowers for a pin-worthy effect. $12. Free shipping. Buy here. 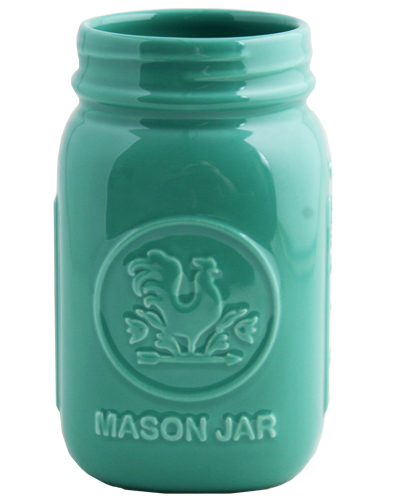 These AdorableÂ Mason Jar Shakers are made from a light green glass with a mason jar look. A great accent for any summer table. Sold individually. $6.95. Buy here. Add a little bit of country with this new twist on an old classic! 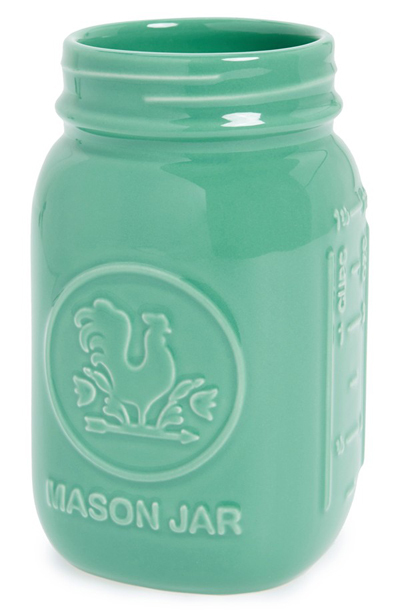 Whether you use this Aqua Mason Jar as a flower vase or as a drinking cup, our it’s sure to delight! $9.95. Buy here. 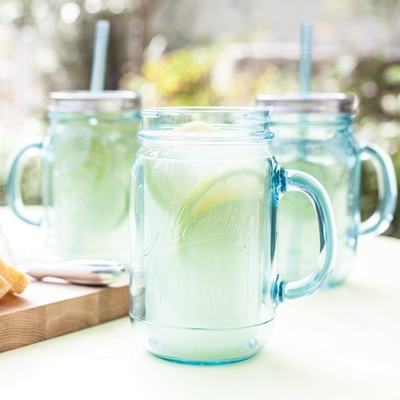 This classic quartet of blue-tinted glassÂ Yorkshire Mason Jar Mugs lends countryside charm to your frostiest, most delicious summertime beverages. $14. Free shipping. Buy here. 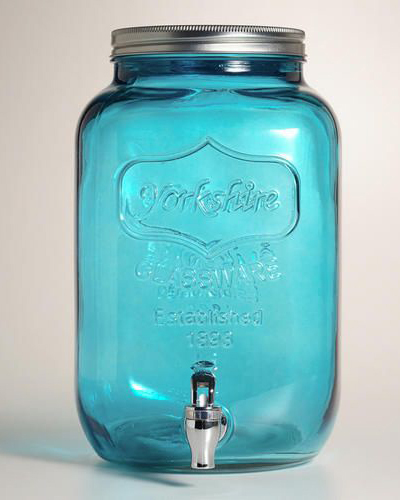 This Blue Glass Yorkshire Dispenser is reminiscent of vintage mason jars to provide a distinctive way to serve lemonade, fresh juice, or any beverage of your choice. Durably crafted of blue-tinted glass with nostalgic embossing, it also includes a secure metal lid and a chrome-plated spigot for spill-free pouring. 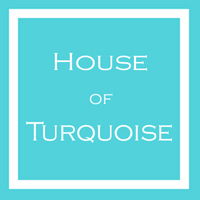 Its chic look and dependable construction is perfect for barbecues, picnics and dinner parties. $19.99. Buy here. These Lexington Mason Jar Pendant Lights feature green tinted bubble glass that highlights the mason jar shape which is accented with numbers. 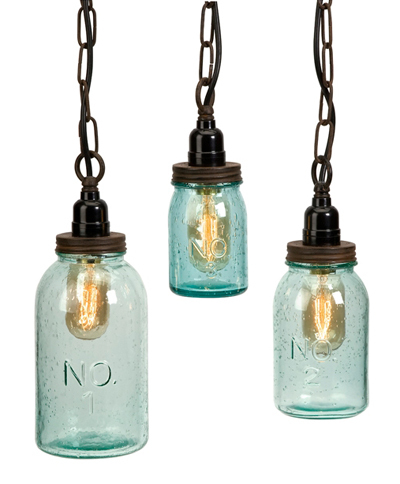 This set of three pendants make a home for the vintage-style Edison bulbs they protect. Â $184.71 Sale $142.09. Buy here. 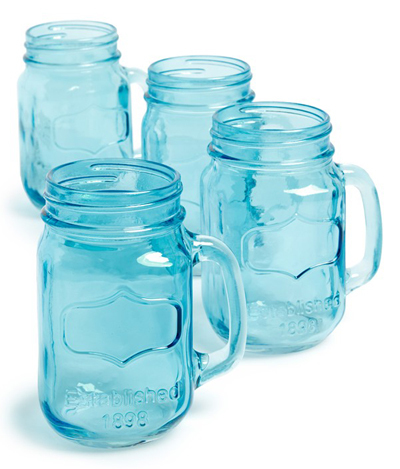 This Embossed Mason Jar with Metal Lid from Threshold will have you party ready in no time. The blue-tinted durable plastic container is dishwasher safe and holds 6.7 liters. $14.99. Buy here. 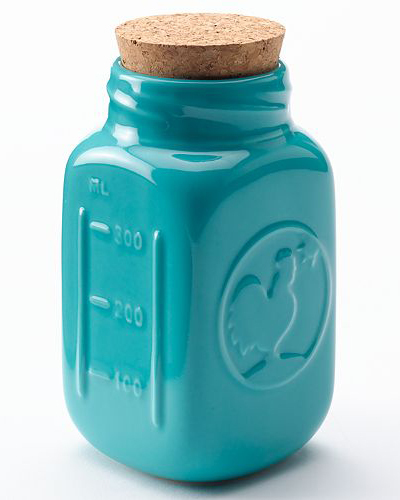 Your decor will stand out with this vibrant stoneware Food Network Turquoise Decorative Mason Jar. Lively hue adds a fun pop of color to your kitchen counter. $10.99. Buy here. Add some humor to your kitchen or bathroom, or give a unique gift to a jar-loving friend! Handmade from a melted mason jar in a basement kiln, thisÂ Melted Mason Jar Spoon Rest makes the most adorable spoon rest, soap dish or desk dish. $18. Buy here.